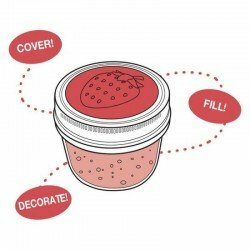 Lids that will fit Ball jars: check if your jar is regular mouth (70mm) or wide mouth (86mm). 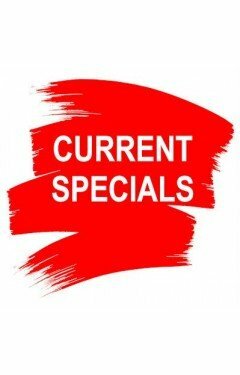 These lids will also fit Bormioli Rocco jars. Note that some of the lids need a band to hold the lid in place though. 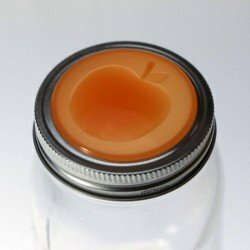 Easily identify your different fruit creation with the range of fruit jam lids: this one depicts a peach on the lid, which sits on top of the standard Ball lid and under the band. Do not put the peach lid in place until after you have processed your jars in a water bath and the lids have sealed at which time you can remove the band, insert the lid and then reattach the band.Fits regular mouth jars Recommended jar size: 16 oz (pint, pictured) but can also use with quilted jars and any other regular mouth jar BPA Free & made from recycled materials Food Safe Dishwasher Safe ..
Daisy cut lids, are an attractive lid with a daisy shaped cut out in the lid. These coloured lids come in a range of colours: mix and match from a range of colours. Currently available are black, white, red, green and yellow.Attractive for decoration or to allow the scent of pot pourri to waft through your rooms. Use on regular mouth quart jars as an alternative to a vase or put the lid on our Ball Mason mugs as an attractive drink serving idea.They suit all Ball Mason bottles that have the regular mouth including our Mason handle jars (excluding the large 24..
Ball Mason Ecojarz Silicone Straw Drinking Suits Jars BPA and Chemical Free Regular Mouth. Ecojarz is a reusable lid which turns your everyday Ball preserving jar into a funky drink container.Made of eco-friendly green silicone, these lids don't contain any nasties like BPA, phthalates or chemical leach and so are a great choice for children and adults alike. 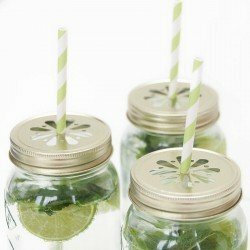 They come complete with a hole which is about 2.5mm wide and fits our recyclable stainless steel straws. Whether it's breakfast on the run or just a juice to keep you going at work, these lids help prevent unnecessary environmental waste from plastic disposable drink containers. 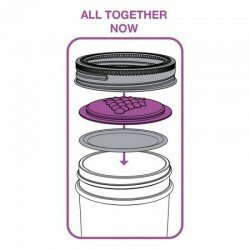 They also help prevent spills down your ne..
One BNTO lunchbox adaptor for use with a wide mouth canning jar (jar sold separately). Made from BPA/BPS-free rigid plastic. Reusable and dishwasher safe (top rack only). Product and Packaging made in the USA, from 100% recycled materials. BNTO (ben-toh) is our newest canning jar adapter for bringing great food with you on the go.We took inspiration from Japanese bento boxes and created a conveniently shaped insert that separates a canning jar into two compartments so you can mix or dip like a champ!.. 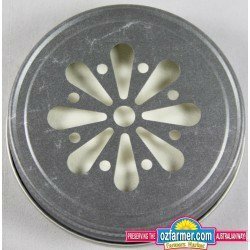 Daisy Lid Pewter Bulk Case of 950 lidsDaisy cut lids, are an attractive lid with a daisy shaped cut out in the lid.Attractive for decoration or to allow the scent of pot pourri to waft through your rooms. Use on regular mouth quart jars as an alternative to a vase or put the lid on our Ball Mason mugs as an attractive drink serving idea.They suit all Ball Mason bottles that have the regular mouth (65mm) including our Mason handle jars. They do not fit the Elite Collection or other wide mouth jars. They are also not compatible with standard twist top jars. ..
Daisy Drinking Lid Gold suits Ball Mason Regular Mouth JarsDaisy cut lids, are an attractive lid with a daisy shaped cut out in the lid.Attractive for decoration or to allow the scent of pot pourri to waft through your rooms. Use on regular mouth quart jars as an alternative to a vase or put the lid on our Ball Mason mugs as an attractive drink serving idea.They suit all Ball Mason bottles that have the regular mouth (65mm) including our Mason handle jars. They do not fit the Elite Collection or other wide mouth jars. They are also not compatible with standard twist top jars.Gold..
Daisy cut lids, are an attractive lid with a daisy shaped cut out in the lid.Attractive for decoration or to allow the scent of pot pourri to waft through your rooms. Use on regular mouth quart jars as an alternative to a vase or put the lid on our Ball Mason mugs as an attractive drink serving idea.They suit all Ball Mason bottles that have the regular mouth (70mm) including our Mason handle jars. They do not fit the Elite Collection or other wide mouth jars. They are also not compatible with standard twist top jars.Bronze colour with card lining.Note that the jars in the picture..